In space, no one can hear you getting chewed out. Frankly, this crew has it coming. You might think scientists would be careful about contagions, but evidently not. Perhaps the semi-competency of their military commander will keep some of them alive in Roger Christian’s Stranded (trailer here), which opens this Friday in New York. A small four-person moon-base is a terrible place to be surprised by a meteor shower. That much we can buy. Suffering damage to their power generators and life support systems, Col. Gerard Brauchman’s crew hastens to make repairs. While outside the station, Eva Cameron notices strange glowing spores covering the meteors, so naturally she carries one back inside, in gross violation of station protocol and basic common sense. While she and Dr. Lance Krause analyze it, one of the test tubes breaks in their centrifuge, so naturally she starts digging around in there with her finger. Before you know it, she is spectacularly pregnant with the alien demon spawn—and then just as suddenly she is not. Cameron and Bruce Johns, the station engineer and resident drunk, know her alien offspring is out there, wreaking havoc. Yet, Brauchman and Krause dismiss their warnings, assuming they are just suffering from CO² induced hallucinations. Indeed, Stranded repeatedly explains the symptoms of carbon monoxide poisoning with impressive thoroughness, so at least it fulfills its public service mandate. Despite all the flak Brauchman takes for sticking by the book, the film also suggests breaking protocol is a really bad idea. 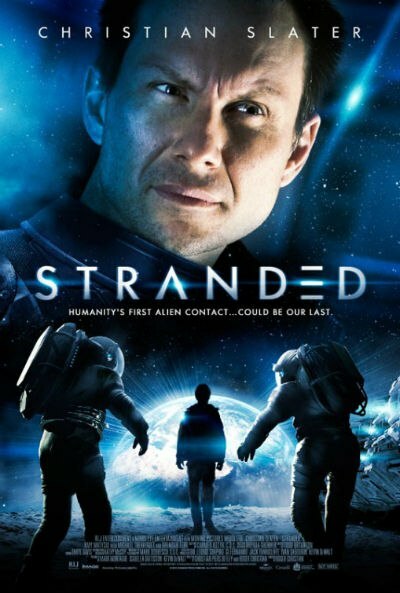 If Stranded sounds like an Alien wannabe, take into consideration the fact that Christian was nominated for an Academy Award for his art direction on Ridley Scott’s beloved sci-fi horror classic, so maybe he has the right to rip himself off. Christian had previously won an Oscar as an art director on Star Wars (before it was known as A New Hope). His short film The Dollar bottom also won an Oscar and his previous fantasy short Black Angel screened before The Empire Strikes Back during its initial run in the UK and Australia. To temper your growing optimism, bear in mind Christian also directed the notorious Battlefield Earth. That is some career, but with Stranded, he lights out into clear-cut b-movie territory. Christian makes a virtue of necessity, emphasizing the claustrophobia of his limited set and the mounting tension within his small ensemble. To an extent, the quartet’s constant bickering and back-biting gives the film a bit of character. Still, there is no getting around the conspicuous carelessness of their actions and the cardboard dimensions of their characterizations. 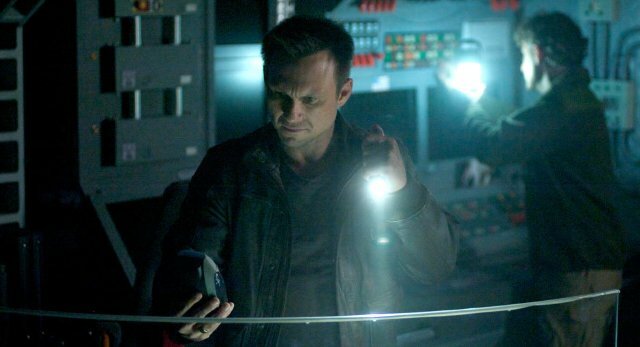 Frankly, Christian Slater is not bad as Col. Brauchman, largely avoiding his typical tics and shtick. Brendan Fehr comes across reasonably credibly as Dr. Krause. However, it is hard to believe a basket case like Michael Therriault’s Johns could ever pass muster for a mission like this. As Cameron, Amy Matysio is similarly stuck with a problematically character, solely distinguished by head-scratching acts of stupidity. If Stranded were playing at an old school drive-in, it would be easy to recommend. On some level, dumb mayhem is always diverting, but Manhattan movie ticket prices demand considerably more than that. Those who might be interested solely because of Christian’s past work should note his long presumably lost Black Angel has been found and some sort of online distribution is expected in the near future. That is probably the film to wait for. Basically a time killer for woozy weekend viewing, Stranded opens this Friday (7/26) in New York at the AMC Empire and will also be available on itunes.